Aerial Panoramic Photo of Children's Pool, Casa Cove and La Jolla Coastline. The underwater reef is exposed by extreme low tide. Point La Jolla Photo. Point La Jolla Aerial Photo. Aerial Panoramic Photo of Point La Jolla and La Jolla Cove, Boomer Beach, Scripps Park. Panoramic aerial photograph of La Jolla Cove and Scripps Park. Point La Jolla Picture. Aerial Panoramic Photo of Children's Pool, Casa Cove and La Jolla Coastline. The underwater reef is exposed by extreme low tide Stock Photography of Point La Jolla. Point La Jolla Aerial Photo. Aerial Panoramic Photo of Point La Jolla and La Jolla Cove, Boomer Beach, Scripps Park. Panoramic aerial photograph of La Jolla Cove and Scripps Parks (center), with La Jolla�s Mount Soledad rising above, La Jolla Shores and La Jolla Caves to the left and the La Jolla Coast with Children�s Pool (Casa Cove) to the right. This extremely high resolution panorama will print 30? high by 80? long with no interpolation Photograph of Point La Jolla. Aerial Panoramic Photo of Children's Pool, Casa Cove and La Jolla Coastline. The underwater reef is exposed by extreme low tide Point La Jolla Photos. Torrey Pines Cliffs and Pacific Ocean, Razor Point view to La Jolla, San Diego, California. Point La Jolla Image. Hospital Point, La Jolla, dawn, sunrise light and approaching storm clouds. Professional stock photos of Point La Jolla. Aerial Panoramic Photo of Children's Pool, Casa Cove and La Jolla Coastline Pictures of Point La Jolla. Aerial Panoramic Photo of Children's Pool, Casa Cove and La Jolla Coastline Point La Jolla Picture. 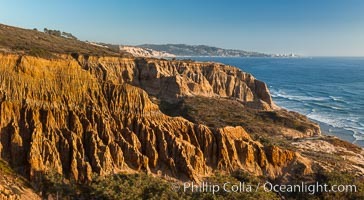 La Jolla Caves and Coastline, Goldfish Point, Aerial Photo Stock Photography of Point La Jolla. La Jolla Caves and Coastline, Goldfish Point, Aerial Panoramic Photo Photograph of Point La Jolla. La Jolla Caves and Coastline, Goldfish Point, Aerial Panoramic Photo Point La Jolla Photos. Point La Jolla Aerial Photo. Aerial Panoramic Photo of Point La Jolla and La Jolla Cove, Boomer Beach, Scripps Park. Panoramic aerial photograph of La Jolla Cove and Scripps Parks (center), with La Jolla�s Mount Soledad rising above, La Jolla Shores and La Jolla Caves to the left and the La Jolla Coast with Children�s Pool (Casa Cove) to the right. This extremely high resolution panorama will print 30? high by 80? long with no interpolation Point La Jolla Image. Point La Jolla Aerial Photo. Aerial Panoramic Photo of Point La Jolla and La Jolla Cove, Boomer Beach, Scripps Park. Panoramic aerial photograph of La Jolla Cove and Scripps Park. Professional stock photos of Point La Jolla. Sunrise Clouds and Surf, Hospital Point, La Jolla Pictures of Point La Jolla. Aerial Panoramic Photo of Children's Pool, Casa Cove and La Jolla Coastline. The underwater reef is exposed by extreme low tide Point La Jolla Photo. Point La Jolla Aerial Photo. Aerial Panoramic Photo of Point La Jolla and La Jolla Cove, Boomer Beach, Scripps Park. Panoramic aerial photograph of La Jolla Cove and Scripps Park. Stock Photography of Point La Jolla. Aerial Panoramic Photo of Children's Pool, Casa Cove and La Jolla Coastline Photograph of Point La Jolla. Aerial Photo of Children's Pool, Casa Cove and La Jolla Coastline Point La Jolla Photos. Aerial Panoramic Photo of Children's Pool, Casa Cove and La Jolla Coastline. The underwater reef is exposed by extreme low tide. Point La Jolla Image. Aerial Panoramic Photo of Children's Pool, Casa Cove and La Jolla Coastline Professional stock photos of Point La Jolla. Aerial Panoramic Photo of Point La Jolla and La Jolla Cove, Boomer Beach, Scripps Park. Panoramic aerial photograph of La Jolla Cove and Scripps Parks (center), with La Jolla’s Mount Soledad rising above, La Jolla Shores and La Jolla Caves to the left and the La Jolla Coast with Children’s Pool (Casa Cove) to the right. The undersea reefs of Boomer Beach are seen through the clear, calm ocean waters. 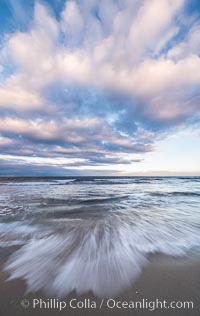 This extremely high resolution panorama will print 50″ high by 130″ long with no interpolation Pictures of Point La Jolla. Aerial Panoramic Photo of Children's Pool, Casa Cove and La Jolla Coastline Point La Jolla Photo. Aerial Panoramic Photo of Children's Pool, Casa Cove and La Jolla Coastline. The underwater reef is exposed by extreme low tide. Stock Photography of Point La Jolla. Aerial Panoramic Photo of Children's Pool, Casa Cove and La Jolla Coastline. The underwater reef is exposed by extreme low tide. 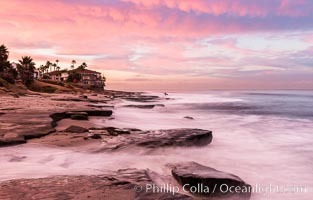 Photograph of Point La Jolla. Aerial Panoramic Photo of Children's Pool, Casa Cove and La Jolla Coastline. The underwater reef is exposed by extreme low tide. Point La Jolla Photos. Aerial Photo of Children's Pool, Casa Cove and La Jolla Coastline Point La Jolla Image.